The rent at Broadstone Ridge Apartments ranges from $1,358 for a one bedroom to a $2,380 two bedroom. Apartments in this building are about 43% more expensive than the Marietta average. This is a pet-friendly apartment. This apartment is in Marietta. 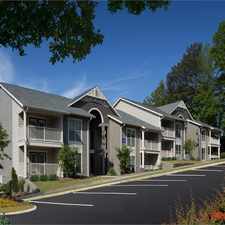 Broadstone Ridge Apartments has a Walk Score of 47 out of 100. This location is a Car-Dependent neighborhood so most errands require a car. Juliet Balconies. Built in Shelves. USB Ports. Package Concierge. Dry Cleaning Pick up/ Drop Off. Game Room, Media Room. Fire Pits. Sky Lounge. Yoga/ Spin Studio. Library. Whiteboard Work Space. Basecamp Outfitters. Courtyard. Looking for a home for sale in Marietta? Explore how far you can travel by car, bus, bike and foot from Broadstone Ridge Apartments. Broadstone Ridge Apartments has some transit which means a few nearby public transportation options. Car sharing is available from RelayRides and Zipcar. View all Marietta apartments on a map. Search for homes in Marietta or find a Marietta real estate agent who knows walkable neighborhoods. Links will open on our partner site Redfin.com. 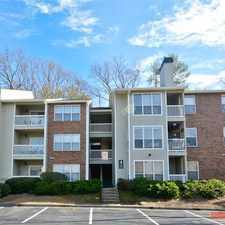 Broadstone Ridge Apartments is in the city of Marietta, GA. Marietta has an average Walk Score of 35 and has 56,579 residents.